One of the famous hacking groups of Pakistan The Hackers Army(THA) hacked Versus Bank Of France for#OpFreedomPalestine. The Hackers Army(THA) have continued their attack for their Operation Freedom Palestine(#OpFreedomPalestine). The hackers group said in their message that freedom of Palestine was their main target and they would fight till the end. 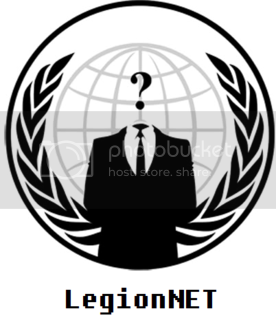 They already hacked 700+ websites and before that 1100+ websites for their new mission #OpFreedomPalestine. They also hacked Bank of Bhutan And Bhutan National Bank, 51 Indian websites, rooted Israel Server and hacked 900+ websites and just before thathacked 200+ Indian websites. 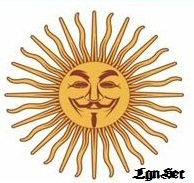 They are the group which hacked the famous Hacktivist group Anonymouswebsite. Now, 64 years have passed since the Israeli Declaration of Independence and since then Palestinian children, women and men are being killed and murdered on daily basis, their land is occupied and their properties are confiscated. Despite the brutality of the Israeli regime, the world including the dispassionate and neutral Arab states of the Persian Gulf, watch the agony and suffering of the Palestinian nation with apathy and indifference.Sixty-three years ago the Zionists demolished 438 Palestinian villages and poisoned or destroyed wells to ensure that their rightful owners would not return. Today, Zionists keep on behaving more or less along the same traditions, demolishing homes,destroying farms, and narrowing people's horizons, all with the goal of making them emigrate.Israel celebrates freedom while more than nine million Palestinians aretreated like slaves or children of a lesser God, some languishing in refugee camps, also for 63 years, or subjected to horrible conditions such as mass detention, collective starvation, daily persecution, with no freedom and very little hope for a better tomorrow. According to Palestine News Network,Nakba demonstrations are expected to take place all over the West Bank, Al-Quds, Gaza and the countries across the world.Fearing the possible massive gatherings of the Palestinian citizens in the occupied territories, the Israeli forces have adopted tough security measures ahead of the Nakba Day protests and arrested several Palestines. you can imprison our PALESTINIAN brothers but you cannot imprison our hope. we will fight till the end , and we are coming to take revenge. We are not liberators. We defend the opressed and FIght the opressor. My name is Thomas Whakawhitu Kingi, from 71 marshall st fairfield hamilton New Zealand. Mr Donald Trumps thoughts said who every can get his families Account, can have aaalll his fortune. We'll Mr Trumps your Bank is (State of America United States of America 438 his bank account Details.